A glass container is half-filled with mercury, and a steel ball is floating on the mercury.If water is then poured on top of the steel ball and mercury, filling glass, what will happen to the steel ball? b. If will float at the same height. c.It will float lower in the mercury. d.It will sink to the bottom of the mercury. 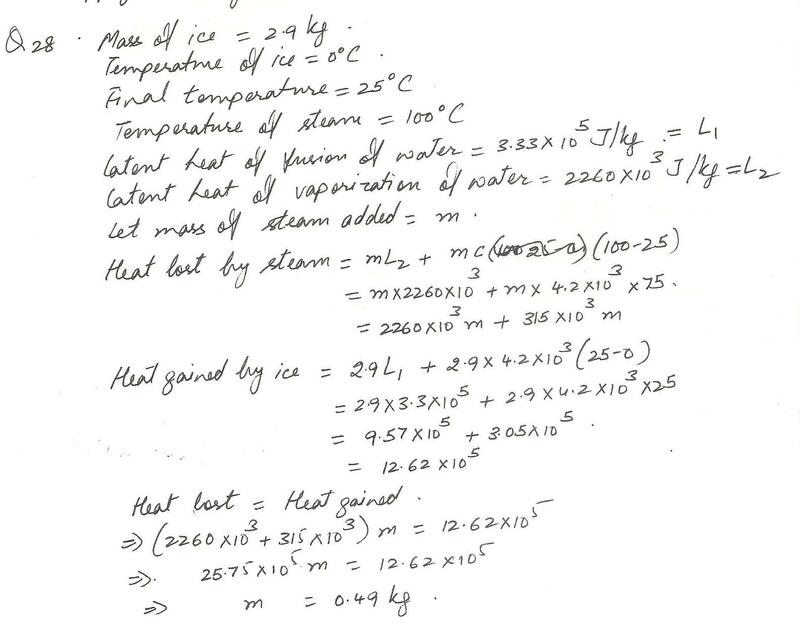 What mass of steam at a temperature of 100.% C, must be added to 2.9 kg of ice at a temperature of 0.0%C to yield liquid water having a temperature of 25.0%C? Water is pumped through a pipe to a tank at the top of a building. The pressure of the water at ground level is 2.2 x105 Pa and at the tank, the pressure is atmosopheric.If the diameter of the pipe is the same throughout, find the height at which the tank is located. 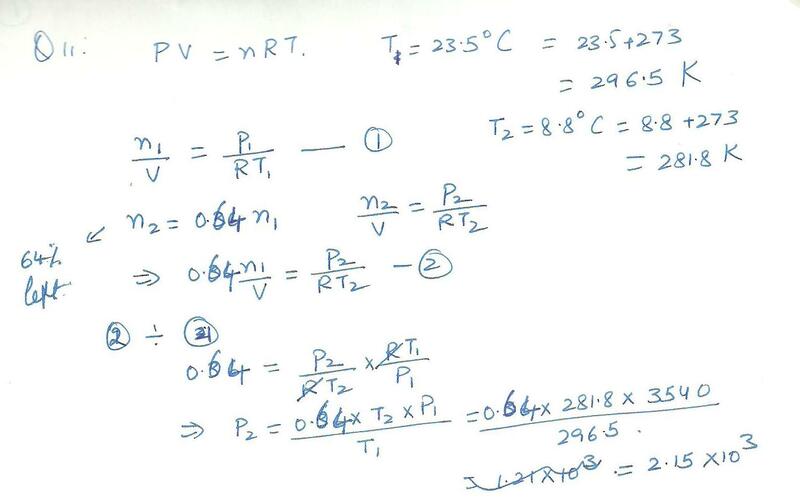 Atmospheric pressure may be assumed as 1.0 x105 Pa and g as m/s2. 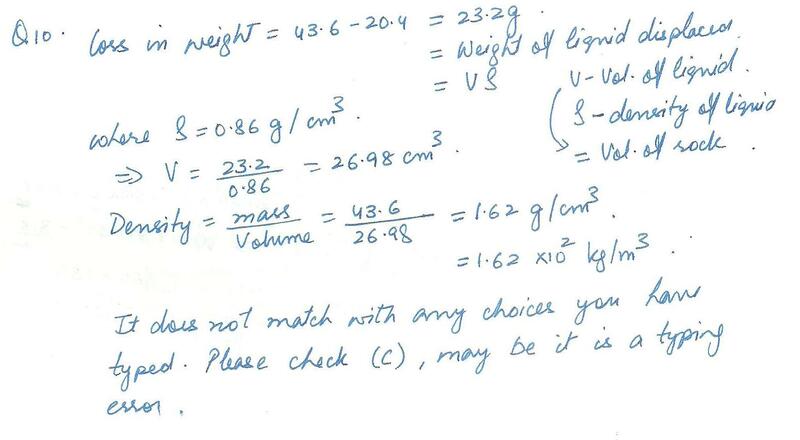 A log of wood is floating in water with 40% of its volume above the surface of the water.If the volume of the log is 0.4 m3, find the mass of the log. A force of 1.0x103 N is applied to a steel rod of length 1 m and a circular cross- section of area 10 cm2. Find the elongation of the rod. 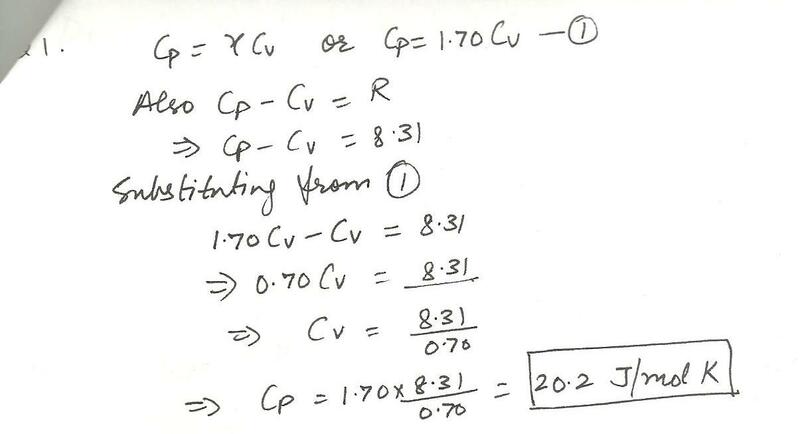 Young,s modulus for steel is 2.0 x 1011 Pa.
2 cubes of different mass and same density placed in water, what happens to displacement? a piece of moon rock reads 43.6 grams on a scale when in air, but 20, 4 grams in a fluid having a specific gravity of 0.86. what is the density of the moon rock in kg/m^3? the amount of fluid that passes through A in one second is ---the amount of fluid that passes B an one second. An incompressable fluid moves through the pipe shown above from right toleft. the pipde widens from the diameter of 3 cm at B to the diameter of 5 cm at A (Assume non viscous laminar flow.-the speed of the fluid at A is ---the speed of the fluid at B. Displaying 31-45 of 522 results.